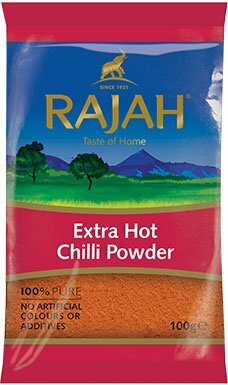 Reminiscent of gulal powder (red powder used during Holi celebrations), the rich glow of chillies has been warming kitchens since 7500 BC. Chillies originated in South America, but have since been cultivated all over the world. The South Asian love affair with the fiery pod is known to have begun in the late 15th century when Portuguese traders carried it into the tropical borders of India. Chillies became an integral part of Indian masaledanis (spice box) and meals thanks to its burst of colour and fiery taste. Chillies are available dried, powdered, crushed, or whole, with its heat levels ranging from mild to fiercely spicy. Chillies vary in taste, colour, and heat depending on when they are plucked and the condition of the environment in which they are grown. The longer they are left on the plant, the hotter the chillies. They grow best in well-drained, moist soil, fertilized with compost. Chilli peppers can be grown just as easily on a farm as they can in your kitchen. Today, India is the world’s top producer of chillies. When imported from South America, India’s tropical climate and soil proved perfect for growing chillies. Just 30 years after Columbus’ landmark exploration into Asia, nearly 3 varieties of chillies took root in the Portuguese enclave of Goa. 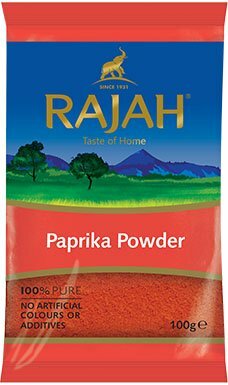 Soon a spice introduced to Asia took to the local soil and taste buds as if it were native to the land. Chillies are grown in warm temperatures where they spring out green, turn brown and finally become a bright red colour. Once ripe, local farmers expertly hand pick the chillies and dry them in the sun, turning them over from time to time. Some of these are kept whole while others are hand-crushed with a pestle and mortar and turned into the crushed chillies and ground chilli powder you use to spice up your meals. 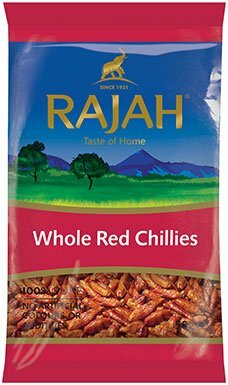 For a kick of heat, use whole dried red chillies which are nothing short of little spice bombs. Break a few of these into a pan to infuse the oil with their heat and flavour. Crushed chillies contain a lot of heat as they retain their seeds and pith. They are perfect for adding texture and heat to any dish. Chilli powder is available in heat scales ranging from mild to extra hot. Store your powdered, crushed and whole chillies in a cool, dry place. Once opened, store them in an airtight container in your spice box or masaledani. Chillies are good for you. They are packed with vitamins and also natural anti-oxidants that can help prevent cancer. You may have also heard from your daadis or naanis (grandmothers) that chillies help fight common colds. Capsaicin, the active ingredient in chillies which makes your mouth burn, is known as a treatment for ailments such as arthritis. It also eases symptoms of diabetes and headaches. In India, local farmers often spray chilli powder to keep crops safe from pests and other threats.